Like It, Or List it. Buy The New Home You Want! If You Don't Like it After 6 Months, We'll List it for Your For FREE! Over the years my wife Jennifer and I have moved several times and I have had the privilege of helping hundreds of families do the same. So I have seen first hand how scary moving from one home to the next can really be. Or even going from a single story to a two story but not 100% sure you will actually like it once you buy it? With our Like It or List It Program you can now move forward with confidence and buy the home of your dreams. If it turns out you buy a house from us and you don’t like it within the first six months and before the moving boxes are unloaded, then contact us and we will list it immediately for free. That's right you won't pay us a dime. If you don't like it then we will list it. For more information on our Like it or List it program contact us today. (888) 950-7425 or complete the form below. We hate spam and will never spam you or share your information with a 3rd party. Ever. If You Have Ever Wanted to Sell Your Home to Buy A New One, Here is an Opportunity to Upgrade Without Worry. Did you know it is estimated that there are over 200,000 Real Estate Agents in California? So it is not surprising when I am asked “What makes you and your team any different than any other Real Estate Agent? Today I would like to share with you 5 significant differences? 1. 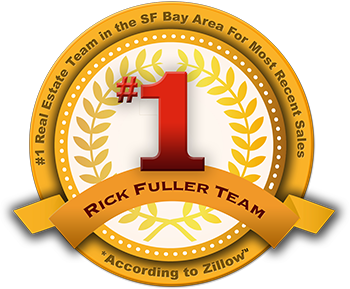 We are Ranked the #1 Agent in Antioch each year for the past 4 years for Listing Units Sold, According to the MLS. Therefore we likely have more homes coming to the market to choose from and a better pulse on the Antioch market than any other local Solo Real Estate Agent. 2. Currently Our Real Estate Team has more 5 star reviews on yelp, google, zillow, and the yellow pages more than any other local real estate agent. It is shocking to me that most people will not go to a restaurant or stay in a hotel without reading reviews but they hire a Real Estate Agent to handle their most valuable financial asset without ever checking the Agent out online and reading the experience of their past Clients. 3. We operate as a team. We have the best marketers and they are busy marketing your property, and the best negotiators are busy negotiating on your behalf, our concierge team members are always friendly, knowledgeable, and ready to pick up the phone and answer your questions.. Try it out give them a call. And if one of our Team Members happens to be sick or on vacation there is always some to help show you that home that just hit the market. With the Team you get several Agents & Brokers with decades of collective experience serving you for the price of one solo agent. 4. We are specialists. Our team members are not generalist but specialists. You probably would not go to your General Doctor with a toothache but probably visit a Dentist because you want a specialist. So if you are ready to buy connect with one of our Buyer Specialists or ready to list connect with one of our listing specialists. It's what they do! 5. We know Antioch. We work in Antioch, Volunteer in Antioch, & I Live right here in Antioch. We have received the “Best Of Antioch Award” each year for the past 5 years from the Antioch Chamber Of Commerce. If you are looking for a better way to buy and sell real estate. A Buying or Selling experience that you would be excited to tell a friend about. Contact us today.